In Adorno and Horkheimer’s spookily prescient work ‘The Culture Industry’, the critical theorists dissect the relationship between culture and capitalism. I’ll let them, and a few other theorists, do most of the talking (lol jk I’ll quote them a few times though). In Naomi Klein’s ‘The Shock Doctrine’, she coins the term ‘disaster capitalism’ to describe the export of free-market economics abroad using ‘shock and awe’ tactics. For instance, after Hurricane Katrina in New Orleans, free market economists rushed in to try and radically reform the education system, creating a petri dish for capitalist experimentation. Milton Friedman implemented a scheme of ‘education tokens’ as part of a wider plan to privatise the entirety of the New Orleans education sector. The same thing happened in Iraq, where the country’s oil assets were bargained off to the highest bidder. However, these forms of ‘disaster capitalism’ are primarily violent military interventions. What is also happening, discreetly, is a far more insidious form of Klein’s thesis, where corporations are using a nation’s instability as leverage for advertising. Coke Studio is, of course, the prime culprit here. It operates in Pakistan, India, the Middle East, Africa and Brazil, all either struggling or emerging markets, where corporate-sponsored culture can be most effective. And while I’ll be the first to admit that the Studio has created some amazing moments and drawn attention to some amazing artists, that’s besides the point. Adorno might be able to tell us why. Adorno here comes to the crux of what makes us so uneasy about cultural hubs like Coke Studio and Nescafe Basement. It is that art can be so easily and readily manipulated into a commodity, something that can be changed and modified to appeal to different target demographics. Perhaps this is why Coke Studio has started to feel so stale in later seasons, even though the output isn’t any lower in ‘quality’. 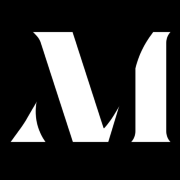 The calculated cocktail – one part old folk song, one part contemporary singer, add modern twist etc – has reached its expiry date. But we all pretty much know this already, what more can you tell us Adorno m8? This may seem obvious, but given that it was written in the 1940s, it should give us some reason to pause. With corporations like Google and Amazon, it has become clear that we are no longer consumers but are commodities ourselves. Corporations buy and sell our information and buying habits on secret markets – newsletter email lists have become goldmines of personal data, used to determine exactly, to the letter, what we will buy, when, how and why. It is, therefore, important not to view Coke Studio or Nescafe Basement or Pepsi Whatever or Khaadi Something as just a vehicle of avant-garde advertising of brands hopping onto the culture bandwagon. Instead, what is happening is something much more fundamental. A connection is being made for us between the product and the mode of production. Coca-Cola is no longer the corporation that steals water from Pakistan’s farmland. Nestle is no longer one of the worst companies in the world for its abuse of forced labour, water thievery and persuading African mothers of malnourished children to buy expensive Nestle milk rather than just breastfeed. Instead, what is cultivating is ‘commodity fetishism’, a term coined by Marx but just as applicable today. The term is often referred to quite simplistically, where the commodity becomes something other than what it is: for instance, a Rolex is no longer just an expensive watch, it has become imbued with a cultural myth so now it is a Rolex. But commodity fetishism, as is well known by the companies above, can be much much more than this. Now, Coca-Cola is not only the producers of a refreshing soft drink, but the engineers of Pakistani Culture. It becomes more and more difficult to distinguish between the two. When you think of Coke, do you really just think of the drink? OR do you also think of Saieen Zahoor given a much-needed platform? Or Mai Dhai, seemingly plucked from thin air, amazing us with her gift? And the immense feeling of pride we feel when we see something well-produced, a cultural asset we can proudly show to our foreign friends. So prepare for more social media posts of Noori, once countercultural icons, performing in a fluorescently lit McDonalds in front of a billboard of logos. Or licking cornettos. But the corporate body will adapt and formulate new ways to zero in on current cultural trends. Something like the #KhaadiJourney, for instance, with its feminist flag waving, is probably the way forward, hijacking activism for peddling products. And yet, while major strides are being made (such as the All Girl Band with Khaadi’s backing), we should never forget that this commodification of our culture is taking place. 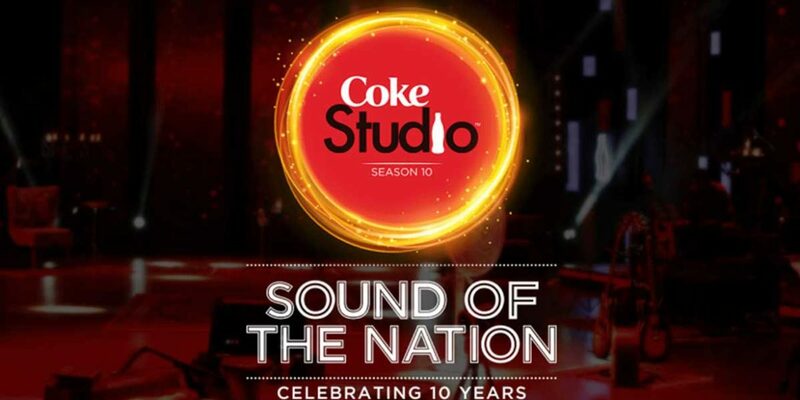 With every good song that Coke Studio puts out, with every 50 million views, there is a countercultural movement that is being squashed out into the periphery. But under the culture industry, the ‘conservative artwork’ does not become absurd at all, but in fact becomes the norm. So what’s the answer? Part of me wants to say, to any artists out there; take all of their money. Every single rupee you can get, and then use it for some more pure purpose later. But, of course, this is delusional. There’s no money in music in Pakistan. For a poor – albeit probably educated and middle class – countercultural artist, the avenues are practically zero to make a living from their art. I have no idea. Instead, I’ll leave you with the eminent Kanye West, musical genius (fite me irl if you disagree), who gives the most succinct summary of our current predicament. ahh! Thank you for writing this! Here is our culture would be represented!